Ashlyn McDonald: Drum major of the Marching Virginians, Tau Beta Sigma’s Vice President of Membership, and developer of an autonomous submarine. Ashlyn came to Virginia Tech unsure of what she wanted to do, but knowing that she had an affinity for math and science. Now, as a junior, she is double majoring in computer science and mathematics and works with research company Leidos, setting up missions and developing the interface of an autonomous submarine. Marching band serves to balance out her work. After her first year of marching with the MVs, Ashlyn auditioned for leadership and became a rank captain in the clarinets. Although she auditioned for drum major and didn’t get it, she admits that it was a learning experience that helped her the next year. 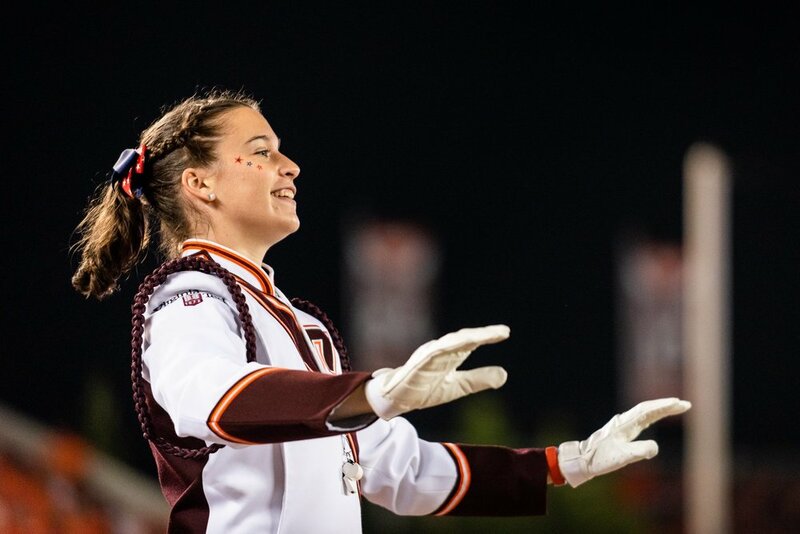 Experience, combined with the drum major clinics and a lot of work on her own, helped her become the drum major that is now known as one of the faces of the Marching Virginians. Ashlyn also serves as the Vice President of Membership in the band’s service sorority, Tau Beta Sigma (TBS). She rushed in the spring of her freshman year. Since then, she and her sisters have been serving campus ensembles (including the MVs), elementary schools, and senior living facilities. In TBS, everyone has a different experience. As a big sister, Ashlyn loved having a chance to help her little, Jordan Downing, flourish on her own path to becoming a sister. Ashlyn’s passion is evident in everything she does. Ashlyn McDonald: developer, drum major, and big sister. She has become a role model for countless people in both the Marching Virginians and in Tau Beta Sigma. 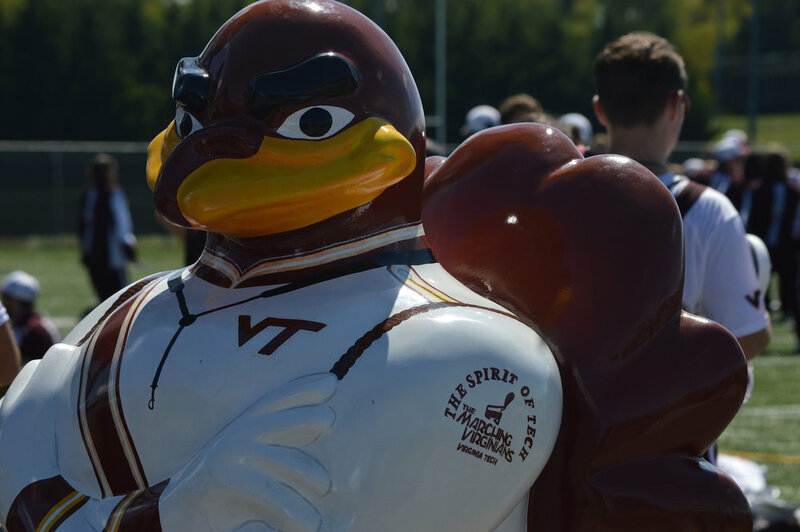 She is dedicated to her sisters and the Marching Virginians – creating a community of service, music, and love.